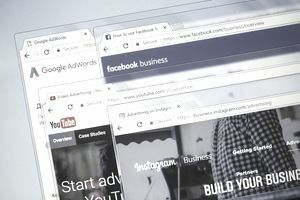 When it comes to online advertising, these are the two giants of the industry, and it’s smart for almost any business to master them – both brick and mortar types of businesses and businesses with an online presence. But, in order to leverage these platforms effectively, it’s important to understand the differences and similarities between them and how they can help your business. First, let’s look at what Facebook Ads and Google Adwords have in common. The most significant advantage to both of these platforms is the ability to hone in on and target your audience with incredible detail. Think of it this way, if you were to buy space on a highway billboard everybody driving down that highway would see your billboard, whether or not they fell into your group of potential prospects. If you own a restaurant right off a major off-ramp, then this might be a good strategy, but otherwise, it’s a lot of dollars for a very broad audience segment. With Google Adwords and Facebook Ads, you can get a ton more granular in your targeting and get your offer in front of people who are most likely to respond. And we advise using both because they can work together amazingly well. There are a couple of different ways to target in Google Adwords, but we’re going to address targeting by keywords in the search results. This is when people use Google to search for an item or keyword, and your results come up in the sidebar or the top of the search results. That's where they see your ad, and if they click on it then you are charged for the click; also known and pay-per-click. So for instance, if you have a business that sells gourmet coffee subscriptions and someone types in “gourmet coffee” into Google, you can have your ad show for that specific search term. This can take a little bit of work to dial in, but once you do it can be incredibly powerful. Where I usually tell people to start is by targeting their business name and common variations of their business name. That way when people see your business on various platforms, and they search for you in Google, they can find you. That way, your ads will show up in Google when people search for your company. Facebook targeting works a bit differently than Google Search because the intent of Facebook users is different. Google users go on Google to search for something specific. Facebook users go on Facebook to interact with other people. So while you’re targeting search keywords on Google, you’re targeting user demographics on Facebook. And the level of targeting by demographic you can achieve on Facebook is amazing. Facebook allows you to target by age, gender, political leanings, and brands people like – to name a few. But even with all these options targeting on Facebook is as much of an art as it is a science. The biggest thing to remember with Facebook Ads is that people go on Facebook not to buy, but to interact. If you keep that in mind and develop your ads around that intent, you can make a ton of money from Facebook ads (and people will absolutely buy from Facebook ads). Where I usually recommend people start on Facebook (because it’s one of the easiest places to start) is to use broad targeting with a piece of content and then to retarget everyone who clicks or inter-reacts with that content with a direct offer. For instance – if you’re selling a waterproofing agent to use in your tent while camping you could write a listicle about “12 Ways to Stay Dry (and Not Get Bored) When Camping in the Rain”. Then you target the largest audience possible on Facebook with terms like camping and every other camping related term you can think of piled into a single audience. With a good article and broad targeting, you can get people to your site for pennies. You can monetize with a content upgrade to get opt-ins (with testing you should be able to get at least a 20 percent opt-in rate) and sell through your email list, or you can use Google Adsense. You can use Facebook to create three custom audiences. People who engaged with your business page. People who clicked over to your website. People who signed up for your email list. Then you can target those custom audiences with your offer for your waterproofing solution. Since you’ve already “primed” this audience with the idea of staying dry, they are more likely to buy your product, and your cost per conversion will probably come down. Keep in mind you'll need a Facebook Business Page to run ads, you can't run them from your regular Facebook profile. There are going to be a fair amount of people who see your ad on Facebook, want to verify that you’re real and then search Google Adwords to figure that out. Or, they will see your company on Facebook and decide to buy five days later and search for Adwords to find you. That’s why it’s important to bid on your company name and maybe your product name in Adwords. It can also be helpful to claim your business on Google if you haven't done so already. Using this three-step method is a great way to get a lot of bang for your buck with paid advertising. It’s not a matter of Facebook Ads vs. Google Adwords. It’s more about how to leverage both platforms effectively.